When people hear used Chevy trucks, they probably think of a Silverado from the 90s that’s been weathered and worn-down from years of hard work. The scuffs and scratches in the bed and on the tailgate a testament to the trucks fortitude. What most people wouldn’t think of is a Chevy Avalanche, but you should probably start. The Silverado is a popular model no doubt, but the Avalanche is arguably the best used Chevy truck. Below are three reasons why, and after you read them the phrase “used Chevy trucks” is going to carry a whole new meaning. The 2013 Avalanche is an underrated truck when it comes to performance. It’s powered by a 5.3-liter V8 that puts out 320 horsepower and 335 pound-feet torque. Just for some perspective; the F-150 at the time (one of the more popular truck models in 2013) had a V8 engine option available that put out 360 horsepower and 380 pound-feet of torque. That means in terms of performance, the Avalanche was right up there with the 2013 F-150 model. The Avalanche is a big truck design sitting on a Suburban chassis, so you’d figure the mpg of this behemoth would be awful. But, it’s actually not bad. The 2013 Avalanche with a V8 was able to get 15 mpg city, 21 mpg highway, and 17 mpg combined. That’s not too shabby for a truck of this size, especially when you consider what type of chassis it’s sitting on. The Avalanche was designed to ride on a Chevy Suburban chassis, and it’s big. The reason it’s so big is because it’s a full-size crew cab that can seat up to 6 people, and still has a truck bed that’s almost just as big as one on a truck without a crew cab. Typically if a truck has a crew-cab, the bed length suffers a bit. Where most trucks suffer with this, the Avalanche succeeds. However, this success obviously makes for a bigger truck, which means less fuel economy compared to other truck models out there. But, that doesn’t mean the fuel economy is horrendous, and it needs that V8 to perform one of the most important truck tasks of all: towing. Thanks to this breed of SUV/Pick-up truck hybrid, and the Suburban chassis it’s sitting on, the Avalanche has the strength to tow and carry the whole family. Keep in mind, the Avalanche is also offered in both two wheel drive and four wheel drive models, which means the towing capacity will vary. For 2WD models, the towing capacity is 8,100 pounds, and 7,900 pounds on 4WD models. It can haul a payload of up to 1,300 pounds. The average bass boat you see people towing around weighs about 1,200 pounds, so that means the Avalanche could theoretically tow about 6x that weight. That Suburban chassis mentioned earlier just doesn’t increase the size of the Avalanche, it also provides it with a more stable foundation to ride on. The chassis allows the cab and truck bed to have a much stronger connection, like the Suburban model. Also, thanks to the coil-spring rear suspension, the Avalanche rides a lot smoother than most other used pick-up trucks out there. Making towing, off-roading, or daily driving even more comfortable than the competition out there. Yes, you read that heading right; no more minivans for dad! This truck has enough space on the inside to haul around the whole family. The cabin has comfortable seating for six passengers, and a 40/20/40-split front seat available on certain trims from the 2013 model year. For those who don’t have that trim, it comes with front bucked seats that are separated by a center console with a big storage box. Perfect for keeping extra tools, work gloves, sunglasses, fishing lures, or extra diapers in. The only downside I can see to the Avalanche’s roomy interior is for shorter passengers, because they might need a ladder to get into the truck. Other than that, it’s perfect for driving the whole family around or turning the backseat into extra storage. The mid-gate is Chevy’s answer to providing the Avalanche with a full-size pickup truck bed, providing more storage space if you need it. The mid-gate sits between the cab of the Avalanche and the truck bed, and this is the way it works: after the rear seats are folded down flat, the mid-gate gets folded down flat on top of them. After the mid-gate is folded down, the full 8-foot and 2-inch long truck bed can now be utilized to its full potential. Even though this requires folding the rear seats down (which means you lose passenger room) the option is a nice one. Allowing the Avalanche to go from working truck to family truck at the simple folding of the rear seats. 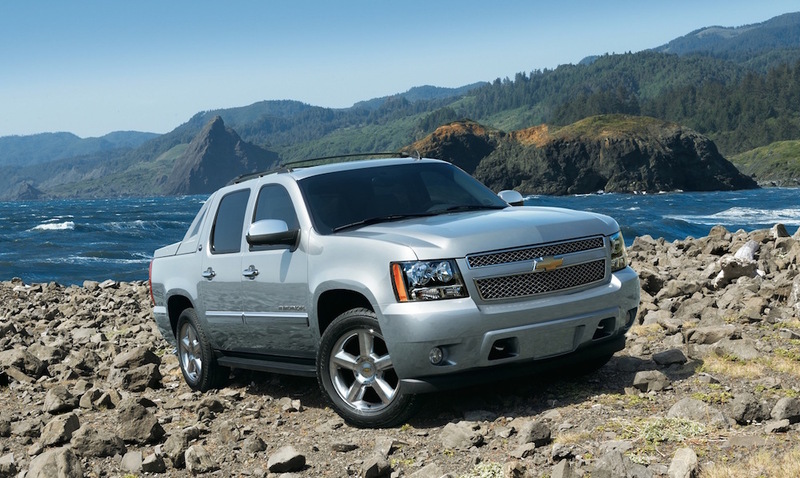 With the space of a Suburban and the power and utility of a truck combined lies the third and final reason the Avalanche is the best used Chevy truck: it’s versatility. The versatility of this pickup truck is unmatched in the rest of Chevy’s used truck line-up. Do some of the other used truck have crew cabs? Of course they do, but none as spacious as the Avalanches. Nor do they provide the option of an 8-foot bed if more space is needed. Most other pick-ups don’t ride as comfortably as the Avalanche does either, thanks to the Suburban chassis coil springs in the rear suspension. The stability provided is also thanks to the chassis, as well as the ingenious mid-gate. Which provides effortless switching between a smaller or larger truck-bed, without compromising the structural integrity of the vehicle. The Avalanche might be a little bigger than the other trucks out there, and that’s what gives it an edge. 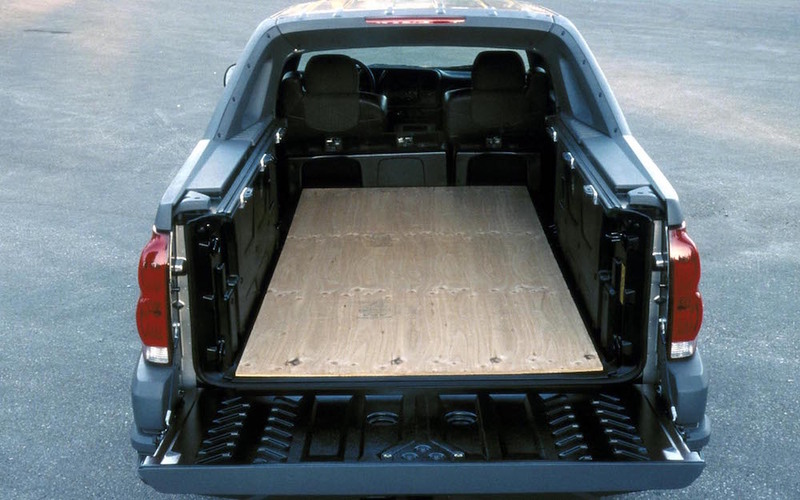 Without that size, the Avalanche wouldn’t have the capability to carry the whole family comfortably, or have extra space for materials. Compared to an F-150 or Silverado of the same year, the difference in horsepower and torque is a negligible amount, and it’s performing on par with both vehicles. Besides, the versatility and utility of this truck more than make up for any other shortcomings it may have. 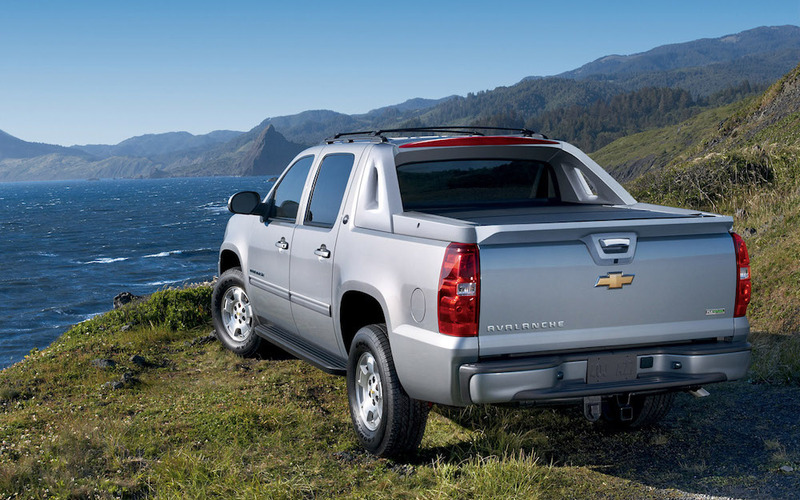 Thanks to its carrying capacity, performance, and frame, these features arguably make the Avalanche Chevy’s best used truck out there.